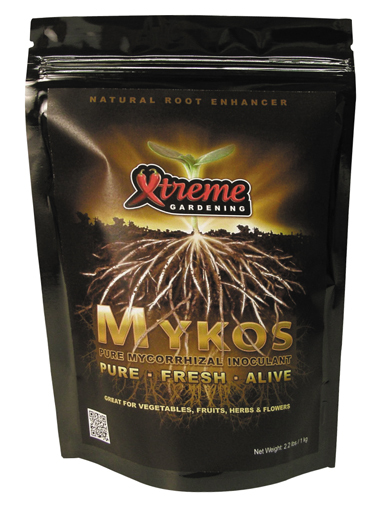 Unleash the power of your soil with Mykos natural root promoter. Mycorrhizae have been shown to increase the availability of nutrients and moisture required for plant growth, while improving soil structure. Mykos provides a biological connection between roots and nutrients present in the soil. Mykos has been used to break the last 7 World-Records for plant growth, including a 2,000 lb. pumpkin in 2012!